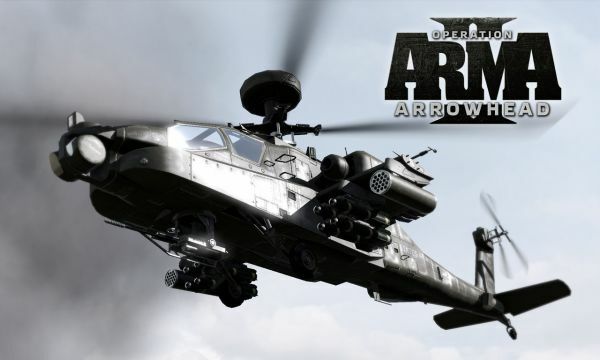 The boys at Bohemia Interactive have announced an expansion pack for the four player co-op game ArmA II called Operation Arrowhead. The expansion is set in the hilly regions of Asia, Arrowhead takes place three years after the events of Chernarus. There's no other detail regarding new weapons or vehicles, but with a current roster of a few hundred, what's a few dozen more? Some folks in the ArmA community might be a bit miffed about this announcement, the game's forums are still lit ablaze by many of customer complaints with various bugs and crashes. Bohemia has assured us that a new patch is on the way and that they've actively been listening to feedback on the forums. Still, you can't help but wonder if the time was better spent on polishing their game instead of making an expansion. Hopefully the patch and the expansion can fix some of the nagging complaints we had about the game. Expect some hands on time with it at Gamecom in Europe next week. No release date has been announced. ARMA II EXPANSION PACK ANNOUNCED! restore peace and prevent further civilian casualties. 19th - 23rd August 2009. Visit us at our stand in hall 4.2, stand no. taste of what it takes to be a soldier in a modern warfare conflict! ARMA II Operation Arrowhead has not yet been rated by ESRB.